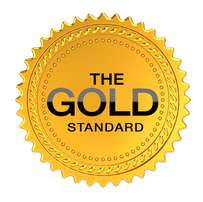 The gold standard for rosacea treatment is Oracea and Soolantra, both Rx(s) from Galderma (yes, Galderma has sponsored three RRDi education grants). "In addition, there were significant differences in the distribution of baseline and week 12 IGA scores in the PP group (P = .0012). At week 12, most participants (63.6%) had mild CEA scores; the distribution was significantly different from baseline (P = .0407). Only 7% of participants had treatment-related adverse events (AEs), mostly mild or moderate in severity. Thus the 40-mg formulation of doxycycline proved to be effective and well-tolerated in a real-world setting in participants with rosacea who were receiving topical therapy but still experiencing symptoms." Effectiveness and safety of doxycycline 40 mg (30-mg immediate-release and 10-mg delayed-release beads) once daily as add-on therapy to existing topical regimens for the treatment of papulopustular rosacea: results from a community-based trial. If your physician (hopefully a dermatologist) hasn't treated you with the gold standard, then, your physician simply isn't keeping up with the latest information on rosacea treatment. So if you received a prescription for doxycycline and metronidazole, your physician simply isn't keep up with the latest state of art medical treatment for rosacea, the 'gold standard'. If Oracea and Soolantra does not improve your rosacea within a month, then you obviously have some other rosacea variant, rosacea mimic, or some other possible co-existing condition or another rosacea variant. Also, if your physician diagnoses you with a subtype of rosacea, your physician hasn't been keeping up with the new phenotype classification of rosacea, so you may want to find one who is keeping up with the latest information on rosacea. Oracea is 40 mg (10 mg is timed released doxycycline while the other 30 mg is immediate release) taken orally and Sooantra contains 1% Ivermectin applied topically. Once you are on the gold standard of treatment for rosacea you should improve within thirty days. Some may take longer, say sixty to ninety days, but usually you will know whether this treatment improves your rosacea within this time period. If not, you simply go back to your physician (hopefully a dermatologist) who will prescribe a different treatment if you don't respond to the gold standard. Not everyone will respond well to the gold standard, but it is worth trying since many do improve their rosacea with this treatment. Because the gold standard is so expensive (Oracea and Soolantra are expensive, hence the gold designation), in many social media groups, i.e., Facebook, Twitter, Reddit, there are reports that many have been trying an inexpensive horse paste and rave about the success. 50 mg generic doxycycline is also available which is not as expensive. There are other options or alternatives also reported using oral ivermectin and metronidazole, other prescriptions, secondary therapy, the ZZ Cream, demodex treatments, probiotics (probiotic therapy), or when rosacea doesn't respond to standard therapies.